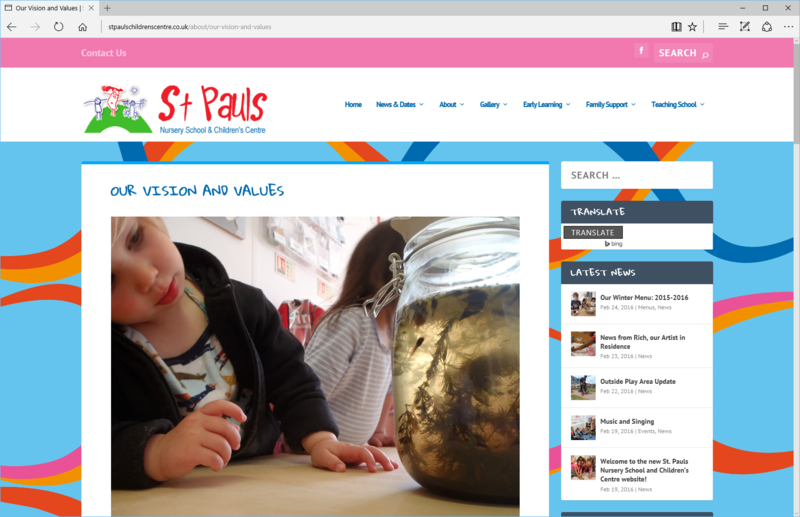 We’re happy to launch the new website for Bristol-based St. Pauls Nursery School and Children’s Centre. The previous design, pictured to the right, was designed back in 2007, a lifetime ago in internet-years. 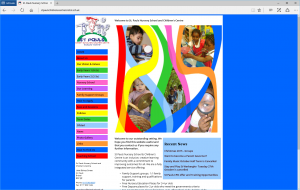 Our challenge was to create a clean, modern, and accessible site, whilst maintaining the school’s spirit, and sense of fun and playfulness. We designed the new site using a responsive grid-based layout in order to scale between all device types – from the smallest feature phone, through to desktop PCs and connected TVs. The grid-based layout was important to us to ensure the site could scale between screens, but we wanted to make sure it didn’t look corporate or rigid. We wanted to capture the essence of the original site, whilst giving it a modern and clean twist. 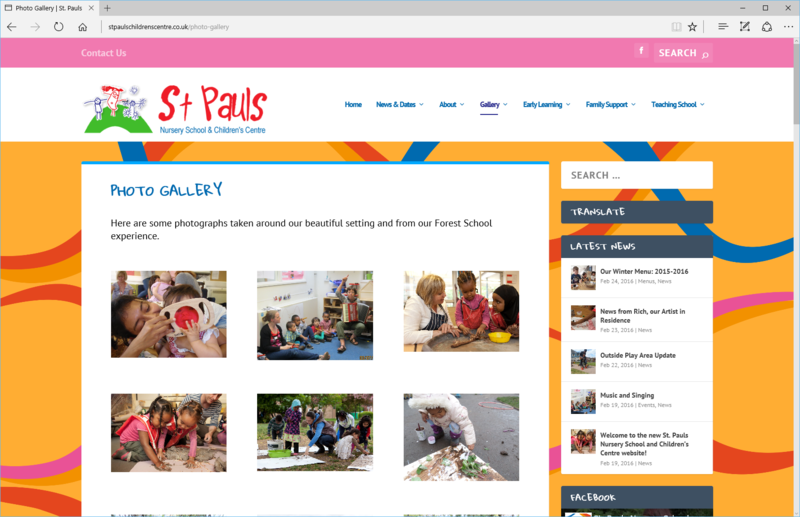 We used bright colours, and playful typography to bring a sense of fun to the site, whilst utilising whitespace and the grid-based layout to ensure the site was accessible on all devices and that the site’s content was easily readable. We worked at giving the logo and typefaces a subtle makeover too, bringing it inline with the new site’s design. 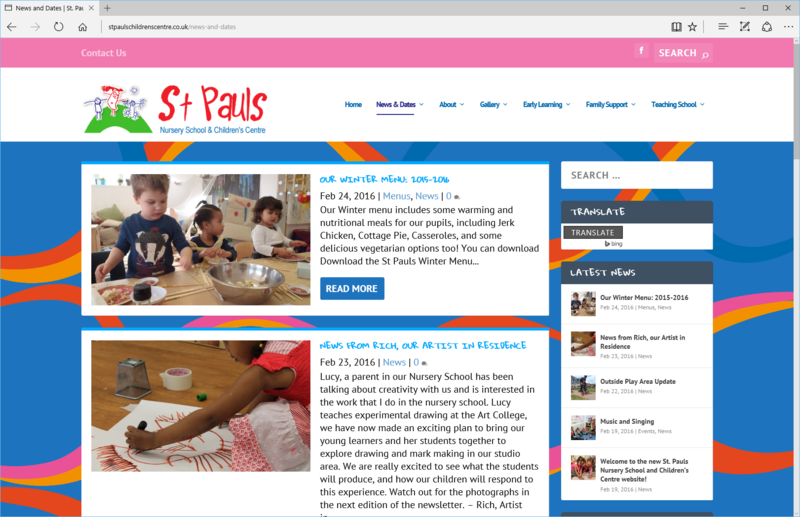 We’ve improved the functionality of the site too, bringing a new area for teachers to collaborate, social features to encourage participation and conversation within the community, and a new events planner. 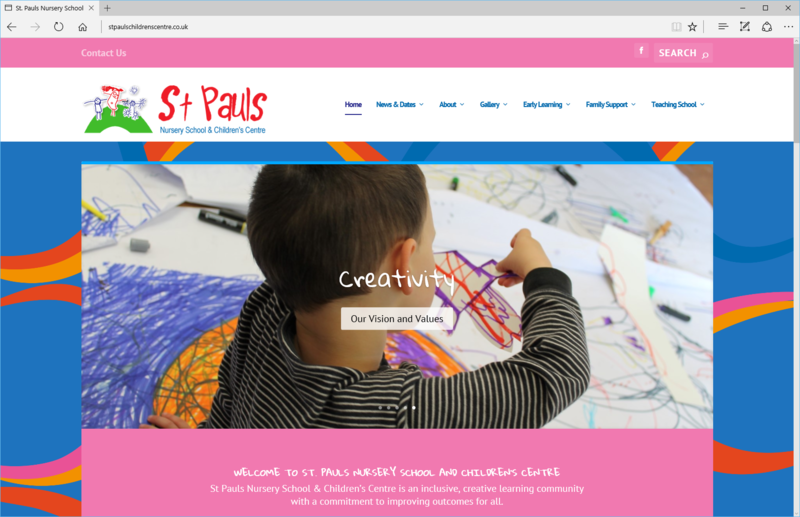 We’re very excited to work with St. Pauls to grow the site, and help make it a destination site for parents, carers and the local community. 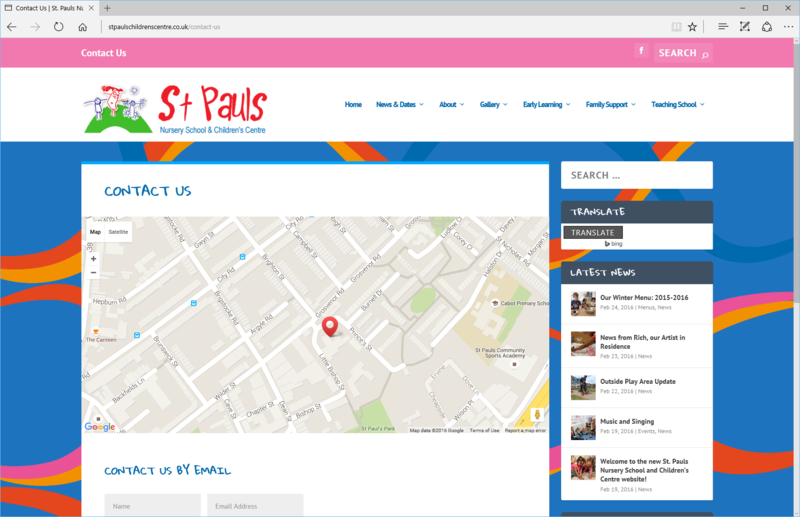 Head on over to http://stpaulschildrenscentre.co.uk to visit the new site.